Own Way is run by graphic designer and print maker Katie Edge Mellor. Katie has taken her love for adventures in the great outdoors and mixed it with her passion for design. You will find organic clothing, homewares, organic patches and original screen prints. 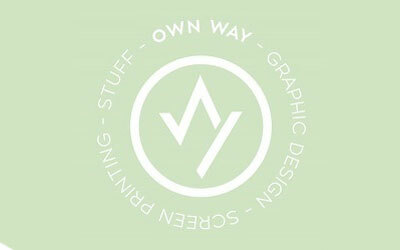 All of Own Way’s products are hand screen printed in Sheffield with environmentally friendly water based inks. Are you ready for your next adventure?